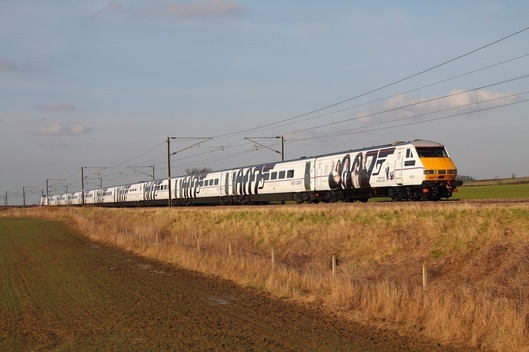 New Skyfall liveried (following the release of the latest James Bond film) 82231 leads 91007 (91107) on the 1E13 Edinburgh to London Kings Cross at Frinkley Lane, Marston on the 17th February 2013. East Coast 91107 has been renumbered back to 91007 and has been repainted into Skyfall livery following the release of the latest James Bond film. 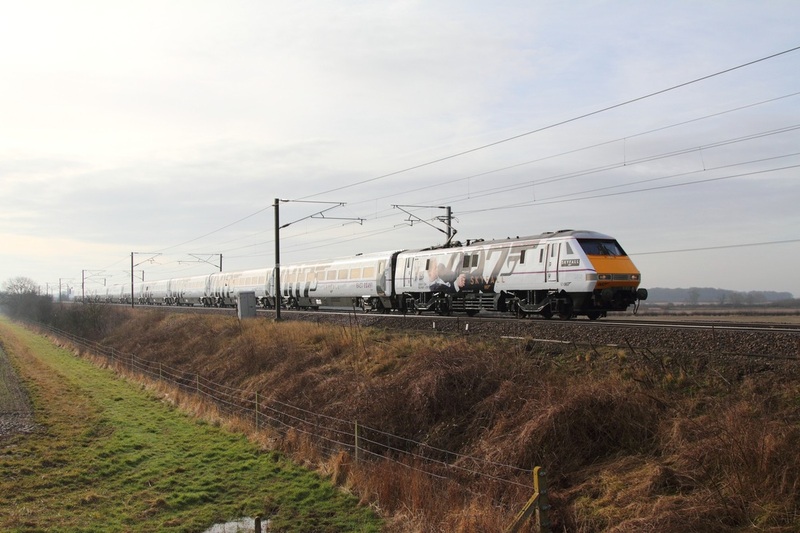 Making its debut in its new livery, the train speeds through Frinkley Lane near Marston on the 16th February 2013 working as the 1Z07 08:33 Kings Cross to Edinburgh.